We assume you've already installed Nimble Streamer and you're familiar with live streaming setup process. Same re-packaging engine is used in all scenarios so whatever protocol you use as input, you'll get all supported streams as output. This includes RTMP which can be played via public URL as well as re-published to any destination. Once you follow one of the mentioned scenarios, you'll get your stream ready for re-publishing to Limelight. 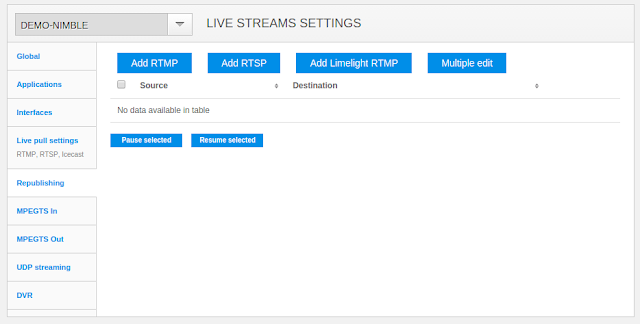 Go to Nimble Streamer -> Live streams settings menu. To see live streaming setup UI. Choose Republishing tab. 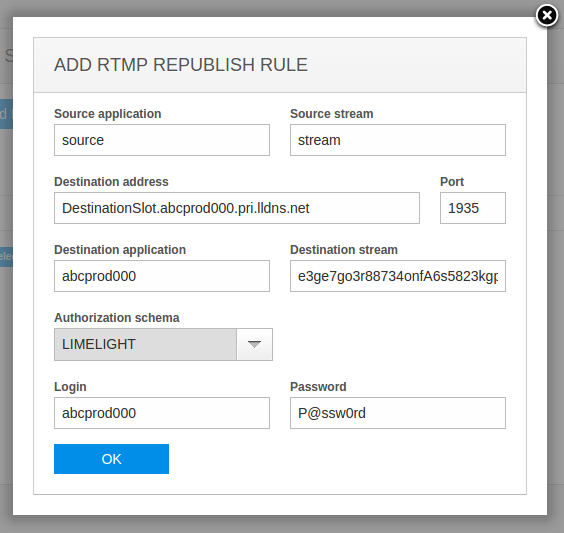 Now click on Add Limelight RTMP button to see the dialog below. Authorization schema will be set to "Limelight"
Saving these changes you'll see new entry in the list. That's it. Once you start restreaming you'll get the stream in the CDN. 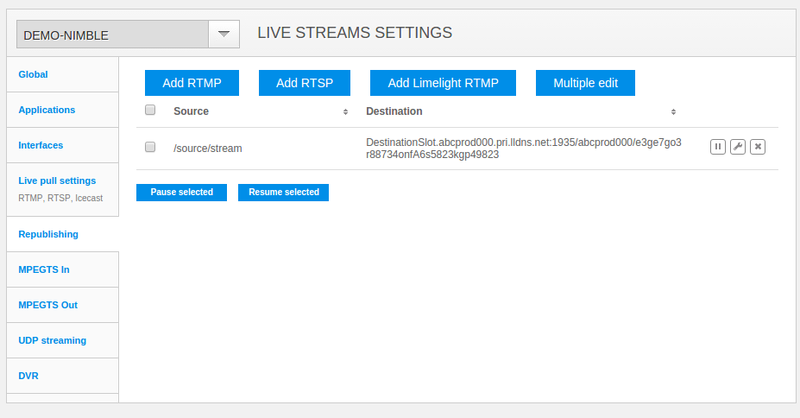 Check your output stream URLs provided by Limelight. For other live streaming scenarios, check our live streaming use cases. Having that, you can create flexible delivery chains using Nimble Streamer for media hubs and WMSPanel for easy-to-use control panel. Install Nimble Streamer if you still haven't done that and contact us if your streaming scenarios need any updates of described functionality.